Wait list will be activated once sold out! 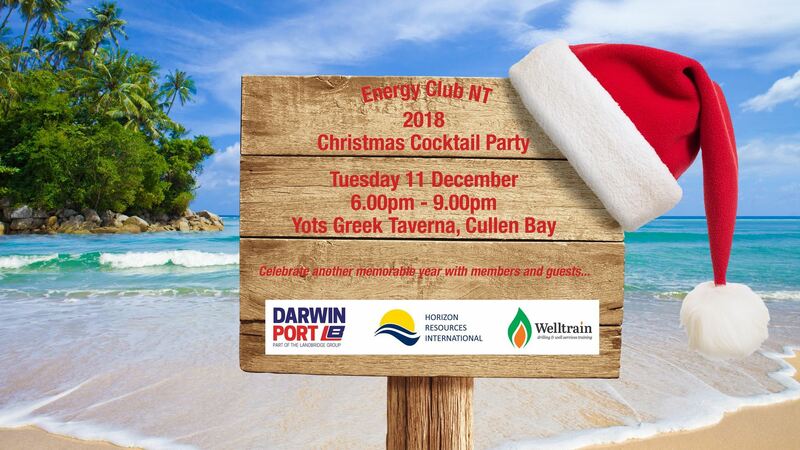 The Annual Energy Club NT Christmas Cocktail Party has built a strong following over the last few years. Tickets are very limited and sell out fast so mark this date in your calendar and invite your clients, staff, industry peers and partners to join us as our guests to enjoy some Christmas cheer in the tropics...Bringing colleagues together from a wide demographic of industry and across our business community in Darwin. This year, we welcome you back to experience Yots Greek Taverna with exclusive access for Energy Club NT members and guests at Cullen Bay Marina. Please join us for an evening of amazing food, featuring the Darwin Port Oyster Bar, and kick off the festive season as we celebrate our many milestones and achievements throughout 2018. Yots Greek Taverna is a one of Darwin's leading restaurants located on the Waterfront Boardwalk at Cullen Bay. Specialising in modern and traditional Greek cuisine with fresh seafood meals, This unique dining experience boasts daily fresh vegetables, fruit, fish and oysters and other delicious seafood. Evan Papadonakis has personally handcrafted a delicious menu for our guests with beer, wine and soft drinks flowing freely throughout the evening.